Akbar the Great built the Shalamar Fort (or Lahore Fort), as well as the city walls which had 12 gates. Some of these still survive. The fort contains marble palaces and mosques decorated with mosaics and gilt. 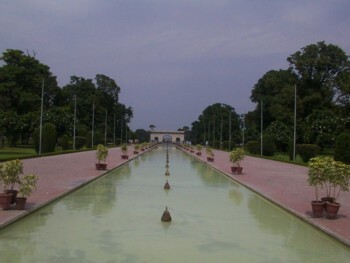 The elegance of these splendid gardens, built near the city of Lahore on three terraces with lodges, waterfalls and large ornamental ponds, is unequalled.